There are many different ways of doing relational integrative psychotherapy. We might even say that much psychotherapy is relational and integrative at heart (of course it depends on how you define these terms!). In the book chapter I explore the concepts of ‘relational’ and ‘integrative’ providing an inclusive synthesising sketch while recognising some divergent voices. A third section discusses some specific challenges of integration we confront when practising in this relational integrative field. I think we would all agree that as humans we are shaped by our social contexts and that our sense of who we are is intimately entwined with our relationships. Research also demonstrates close relationships are what matters most to people. When those relationships break down or fail to give us what we need, we become distressed/disturbed and lose confidence. If relationships are the source of many psychological problems, they can also be harnessed towards growth and healing. And this is where psychotherapy comes in (Erskine, 2015). It’s the relationship that heals, the relationship that heals, the relationship that heals. Therapy offers a microcosm of the social world – What happens in the therapy room may well reflect processes happening outside. The significance of ‘between’ – We’re particularly interested in that mysterious intersubjective space between where we touch and are touched by the Other in multiple, often unseen ways. The therapist is present – We try to be a safe, steady presence who is willing to be-with the client as a human being with whatever emerges. The relationship works as a collaborative partnership – Both therapist and client contribute to this relationship; therapy is a joint enterprise. In summary, working relationally means engaging the emergent, here-and-now dialogical relationship between therapist and client where we flexibly attune to each client’s relational needs (Erskine, 2015; Erskine et al, 1999, DeYoung, 2003; Spinelli, 2015). It’s about being present as a human being first; as a therapist second. It’s about moving fluidly between a triadic focus on the Other, Self and the relationship Between. Just how we put this relational dimension in action in therapy varies according to perspective and context (Paul & Charura, 2015). A key debate for integrative therapists is the extent to which we privilege the here-and-now inter-subjective relationship rather than the intra-subjective one where past developmental relationships are engaged transferentially. This is a question to ask yourself too… In the therapy relationship where is your primary attention? Is it on the here-and-now relationship or are you thinking in terms of the client’s past and what is happening between you transferentially. (Of course many, if not most, integrative therapists do both – the question is where you allegiance lies). Integration can be defined as a process of bringing parts together into a whole and moving forward in a (re-)newed way. Applied to therapy, our integrative project relates to at least two integrating movements: client integration and theoretical integration (Erskine, 2015). Different integrative therapists see their integrative approach in either or both of these terms. The integration related to clients’ growth involves focusing on clients in holistic ways, encouraging/enabling them to hold polarities and make new connections with previously disowned parts of themselves. We might, for instance, help a client become more aware of their body which they had become dissociated from or aware of their needs which they had pushed down. Theoretical integration involves blending different theoretical frameworks and their methods. Given the diverse complexity of human beings, surely no single specific approach is clinically adequate for all clients and all situations? There are common processes that cut across traditional alliances (Norcross, 2005). Also, most theoretical perspectives now are themselves integrative as historically they draw from different traditions and philosophies (e.g. transactional analysis has its roots in both psychoanalytic and cognitive-behavioural approaches). However, this integration does not imply mixing approaches in an eclectic, piecemeal way. Different theoretical perspectives carry different assumptions, philosophies, values. (How, for instance, might we pull together a psychoanalytic view which privileges the unconscious with a humanistic one which denies the unconscious exists? The answer: Integrative therapists might, for instance, talk about something being currently ‘out of awareness’). In other words, theoretical integration needs to be achieved in a coherent way and our relational stance can provide a helpful ‘glue’. Or to mix my metaphors, a focus on the therapeutic relationship bridges theoretical differences. Our challenge as integrative therapists is to work out how to blend perspectives – do we do it in pragmatic, instrumental ways or strive for a deeper wholesale integration? Every integrative therapist has to work out their own model of working. To help us there are many published ones we can use as touchstones. See Palmer & Woolfe (2000) who discuss various British models; Norcross & Goldried (2005) examine those originating in the USA. Within the humanistic integrative tradition, check out the work of Evans & Gilbert (2005), Gilbert & Orlans (2011), Lapworth & Sills (2010), Erskine (2015), Erskine et al, (1999) and Moursund & Erskine (2004) among others. Other published and empirically-investigated integrative psychotherapy approaches draw from across the cognitive-behavioural and psychoanalytic spectrum. Well-known approaches include Ryle’s (1990) Cognitive Analytic Therapy (CAT) and Linehan’s (1993) Dialectical Behaviour Therapy (DBT). 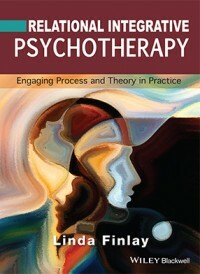 In the counselling-psychotherapy field, there are many more models, for instance, Faris & van Ooijen (2012), Egan’s skilled helper model, Cooper & McLeod (2011) and Prochaska and DiClemente’s (2005) cycle of change. There is a sense in which the field of integrative psychotherapy, with its multiple languages and cultures, resembles the ‘United Nations’ rather than a single, unified territory. This field goes beyond single-school approaches to encompass different theories and techniques in a holistic way. Our aim is to help clients’ integrate needs/disowned parts of self towards their embracing a more comfortable, relational way of being. For those of us who practice in explicitly relational ways, we stress the importance of the co-created, dialogical therapeutic relationship. A key challenge we confront as relational integrative therapists is to puzzle out what, how and when to integrate. To do this we need a critical appreciation of theory, and some artful finesse, to navigate the multiple paths and contradictory messages in the larger theoretical territory. I see our mission as blending competing voices. At times it’s about holding polarities – there are parallels here with the integrating work we do with clients! When we manage to internalise competing voices into a transformed, coherent way of being, we achieve our deepest theoretical integration. I personally don’t always manage this but I try. While my practice framework is humanistic-integrative, I try to celebrate plurality and want us to dialogue between perspectives. I see value in other approaches too, for instance, those ‘developmentally-orientated psychoanalytic’ and ‘systemically-based cognitive-behavioural’ integrative approaches. That said, my personal allegiance is to existential-phenomenological and gestalt theory and practices, with some interweaving of transactional analysis and relational psychoanalysis. Cognitive and systemic thinking also informs my work. For me, change comes about primarily through the process of working together dialogically and creatively. 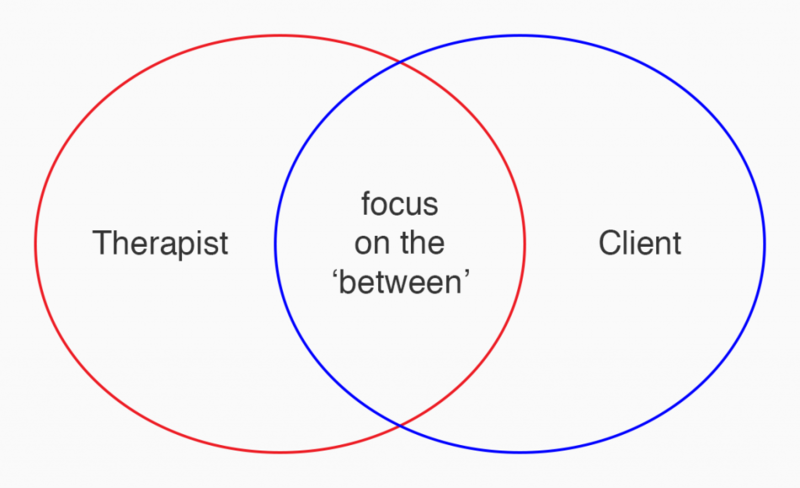 Here, the relationship between therapist and client is the primary agent of change and not instrumental techniques, pre-fabricated protocols or theoretical dogma. This is the work that inspires me. What a privilege it is to witness another’s experience and be in a position to perhaps help them make sense of it. I like practice that touches mind, body, heart and soul. In the space ‘between‘ anything can, and does, appear (Finlay & Evans, 2009).